Throughout the year, we will be providing essential information for our seniors and families. Key events, timelines and information will be updated to support school to home communication. 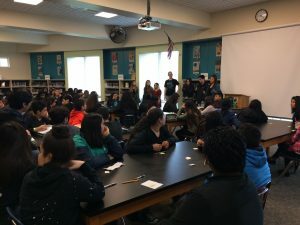 On Wednesday, February 7th and Friday, February 9th we sent several McKay AVID 12th grade ambassadors to Waldo and Stephens Middle Schools to speak with current 8th grade students about the transition to high school, strategies for managing busy, stressful schedules, and how AVID can play a role in students’ success. 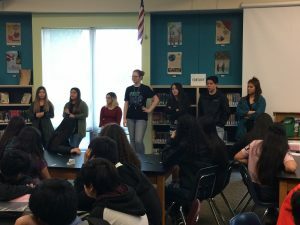 Our seniors shared honestly about the obstacles they’ve faced, and why they have chosen to remain in AVID despite periods of doubt and uncertainty. They have each been accepted to multiple four-year universities and will be making some big decisions in the next few months! We’re proud of them for being courageous leaders. On-site admissions with PSU and WOU were a huge success this week here at McKay! 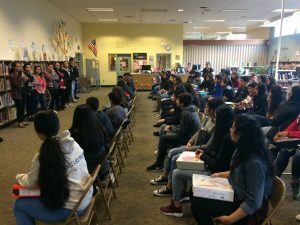 52 of our McKay students were accepted to PSU and 29 to WOU! 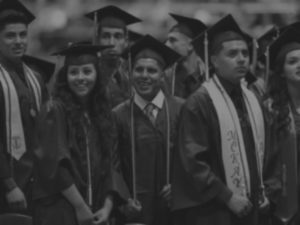 Congratulations to these McKay seniors who will be continuing their education after graduation this Spring. Come down during class, before school, after school or during lunch!